The cries to sack Michael Cheika as Wallaby coach have become so loud they could be heard on Mars. But it’s not going to happen, and that’s not the answer, nor would it be for any possible replacements such as Jake White, Eddie Jones, Sir Graham Henry, or the Messiah. If Cheika’s guilty of anything it’s not the losing, which is bad enough – it’s the why? It’s inconceivable that the vast majority of the current Wallabies simply just don’t know how to play the game. They are devoid of the basics. Which begs the question – just how in hell did they get that far with so little knowledge? Let’s tell it as it is in the real world. The Wallabies have only five world-class players – David Pocock, Israel Folau, Will Genia, Kurtley Beale, and to a lesser extent Michael Hooper who was better three years ago. You can’t win rugby internationals when only 33 per cent of the team know how to play. I can hear the howls of indignation about Beale being included, but he’s naturally gifted – always has been since he was a spindly teenage kid with headgear at St Josephs College, and always will be. Sure he’s gone off the boil lately, but just about every sportsman has his lean periods. 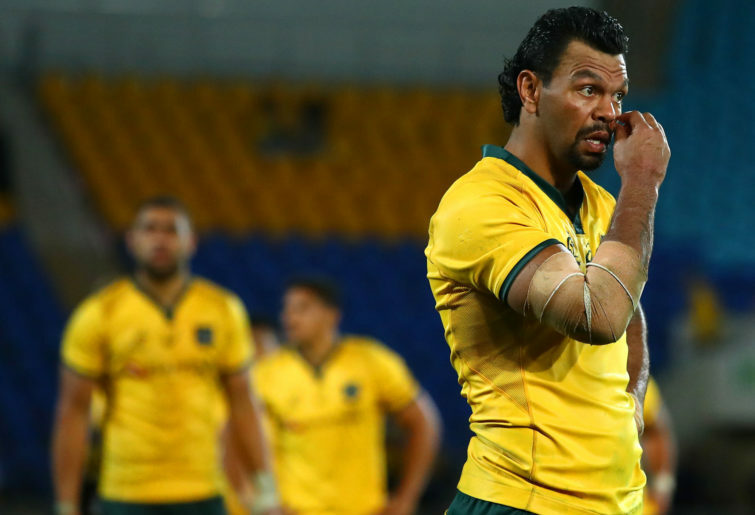 The good ones survive the downturn – Kurtley Beale will survive because he was grounded in the right rugby doctrine at Joeys which has provided more Wallabies than any other school in Australia. And it’s that doctrine that’s missing in schools, where so many rugby-only orientated schools of the past are now catering for rugby league, AFL and soccer as well. Rugby has been fractured at grassroots level, but that’s not the only reason for the decline. Let me turn back the clock 60-odd years to when I was coaching a prep school of 10 and 11-year-olds. They kept pleading when can we play a game during training. My answer was there’s no point in playing a game when you don’t know how to play. Support play, retaining possession, and locking down scrums and lineouts followed and to see the smiles on their faces when they understood what they were doing was a joy to behold. Everyone was a winner – rugby, the kids, the kid’s parents, and the coach. Story two was exactly the opposite. A few years later my son Andrew was playing as a 15-year-old in a school side coached by the music master who had no idea whatsoever on rugby – he was only doing it as an integral part of his job specification. At half-time they were down 40-nil in just 20 minutes as the “coach” said eat your oranges, that’s the most important thing to do. My son piped up we must get up quickly in defence, not wait until they get to us – and tackle. His side didn’t win, but the opposition didn’t score in the second half. The second half was a genuine achievement, and you could see it in their faces. Sadly there are far too many masters coaching schoolboy rugby because they have to, not because they want to. Cheika is different – he wants to be the Wallaby coach, it’s his chosen profession outside of a very successful international fashion house. Where he’s made his big mistake is not drumming basics into his squads day after day after day until they get it right. And he has the perfect forum with all his players being full-time professionals. They should be made to get the basics right until they drop with exhaustion. And do it again tomorrow, and the day after, and the day after that until they can pass, catch, support, retain possession, and tackle in their sleep. Only then can the squad call themselves Wallabies, and Michael Cheika be called the Wallaby coach.